"Blue Knit Standard Itemized Counter Signature Business Checks" product is already in your cart. 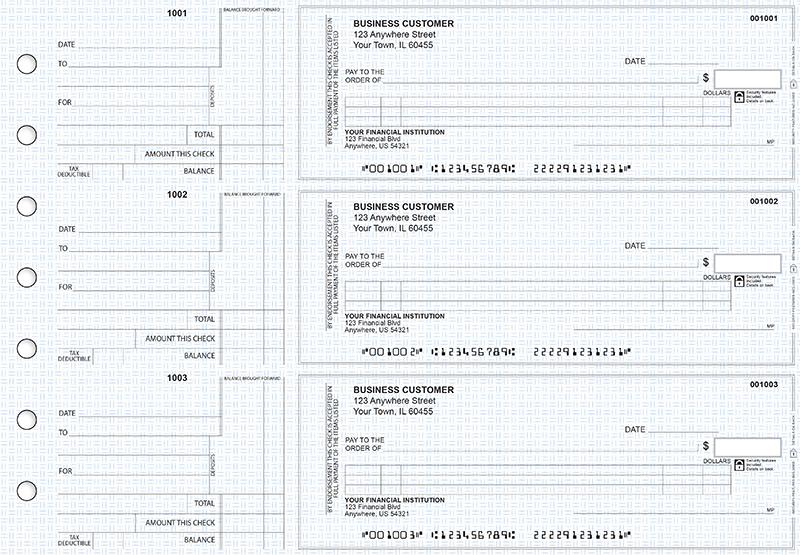 Itemized counter signature checks are ideal for sending detailed invoice payments. The standard stub is user friendly and ideal for accounts payable with bold clear font and large writing areas for ease of use. The stub includes "Date", "To" and "For" lines with boxes for "Balance Brought Forward", "Total", "Amount this Check", and "Balance". Each stub has the check number located at the top and an indicator box for tax deductible transactions. 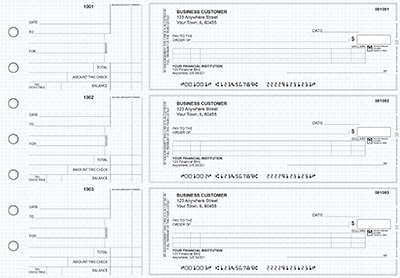 The long voucher is perfect for entering lengthy descriptions of invoices paid. The left end panel located on the check provides space for an additional signature, known as a counter signature. Counter signatures provided added security to your checks and are common on third-party and traveler's checks where an additional endorsement line is needed.